Vanishing Sun kicks off the 2018 CFCU Summer Concert Series (on the Summer Solstice, naturally). This Rochester-based R&B, jazz and funk group delivers an explosive, tight, high energy show. From the jam scene to jazz festivals, the band has steadily drawn a following from music fans young and old, and from all walks of life. 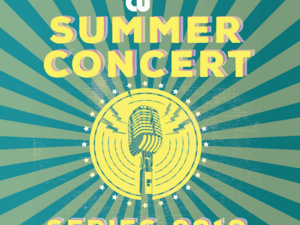 This weekly concert series is made possible by CFCU Community Credit Union, Seneca Beverage Corporation, Ithaca Marriott Downtown on the Commons, Wagner Vineyards, and Cayuga Radio Group. The Bernie Milton Pavilion is located on the Commons in downtown Ithaca, in Bank Alley.